I traded out the pasta sauce jar top for a canning lid I had on hand so that it would be plain and not have a logo all over it. First, measure your jar from the bottom to the top of the neck right below the screw top. Mine measured 6 inches - the picture is somewhat deceiving, so I added lines to where the actual measurements are. Even though the bottom area looks to be longer, in reality it stops at the line (couldn't figure out how to show this better in a picture ;)). 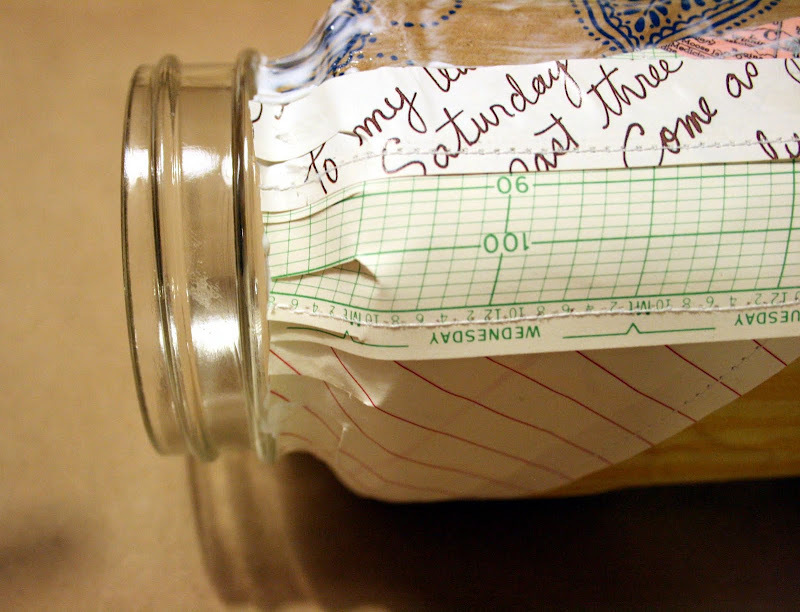 Next, measure the circumference of the jar: mine was about 11 inches. (*Note: This particular jar of pasta sauce was 24 oz. 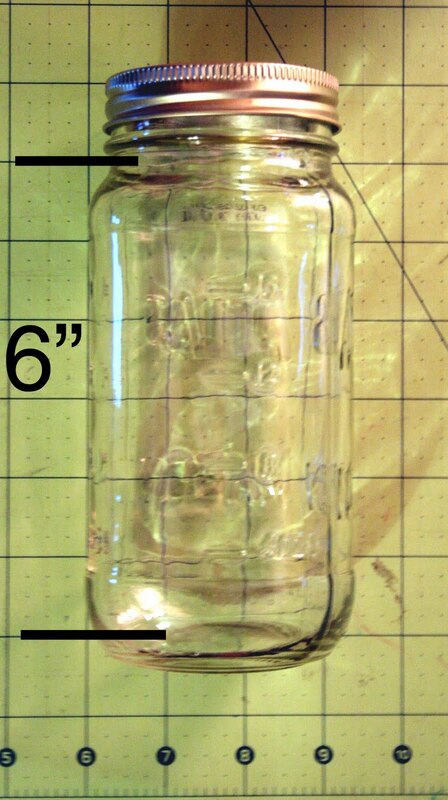 and these were my measurements for that size jar- so, 6" tall, 11" circumference). 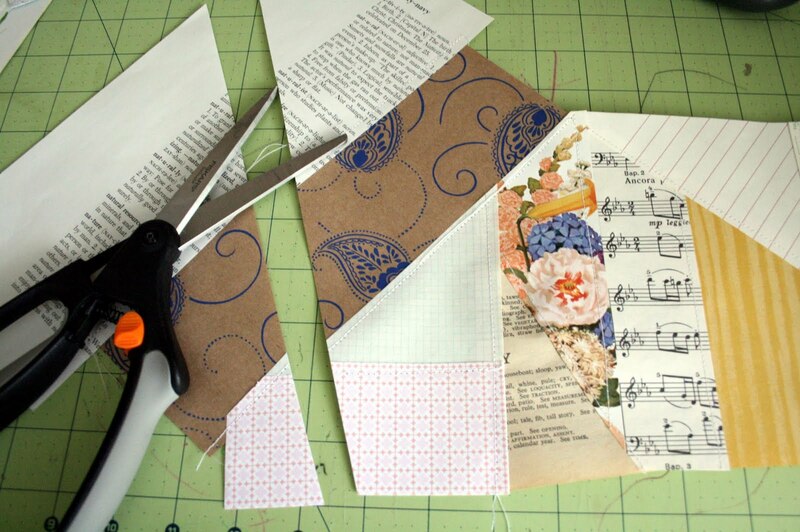 Then, start sewing your scraps together. 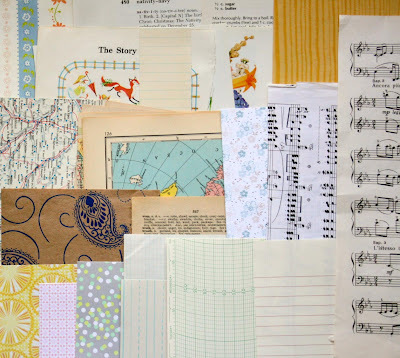 I would sew pieces together and then cut through them to add another scrap (see below pictures). 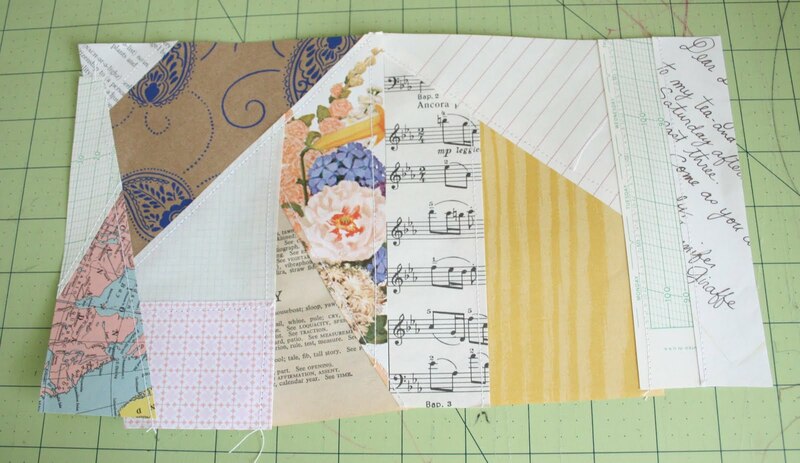 I tried to keep the patchwork to about 6.5" tall so that I could trim it down to size later on. 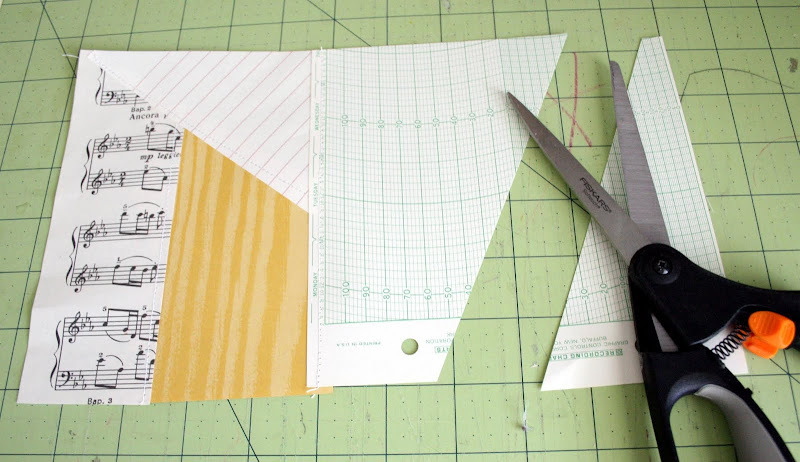 I wanted to make it about 12" long in order to trim it down to size and have a little leftover for adhering. 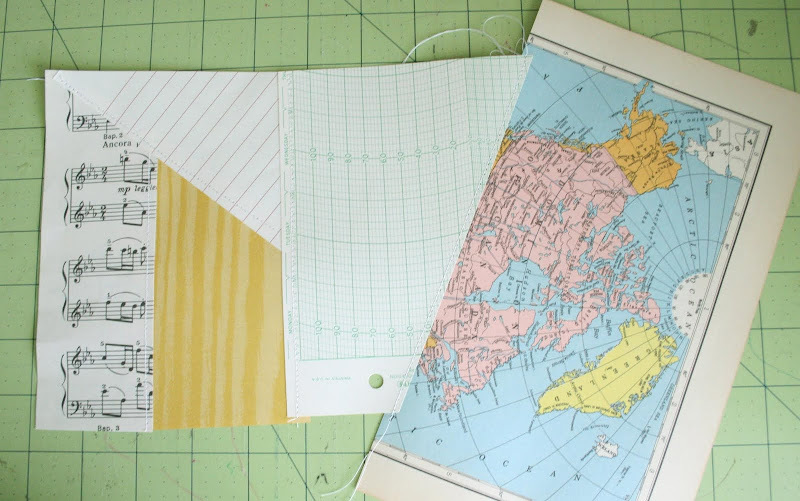 To sew the pieces together, I overlapped them about .25" - .5" and sewed a straight stitch. Keep cutting, piecing and sewing. Once I got to the approximate measurements needed (6.5" x 12"), I trimmed it down to 6"x11.5" - the 11.5" length would allow the edges to overlap when Mod Podging to the jar. 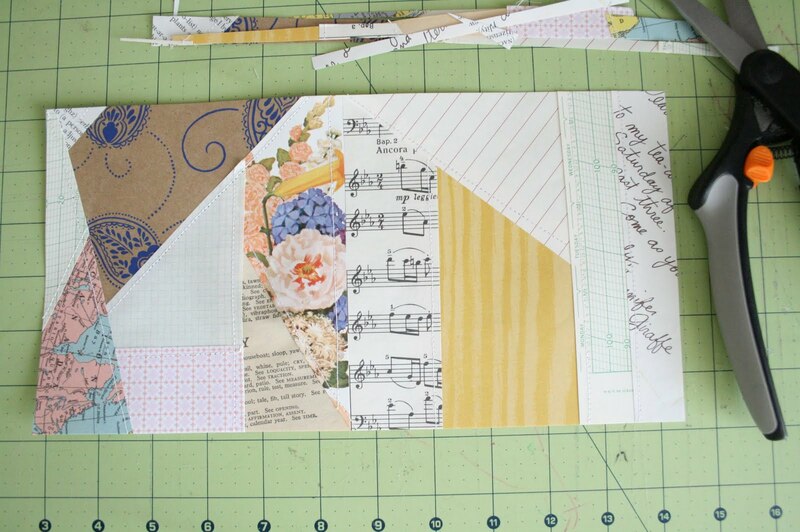 Next, flip the patchwork over so you are looking at the back. 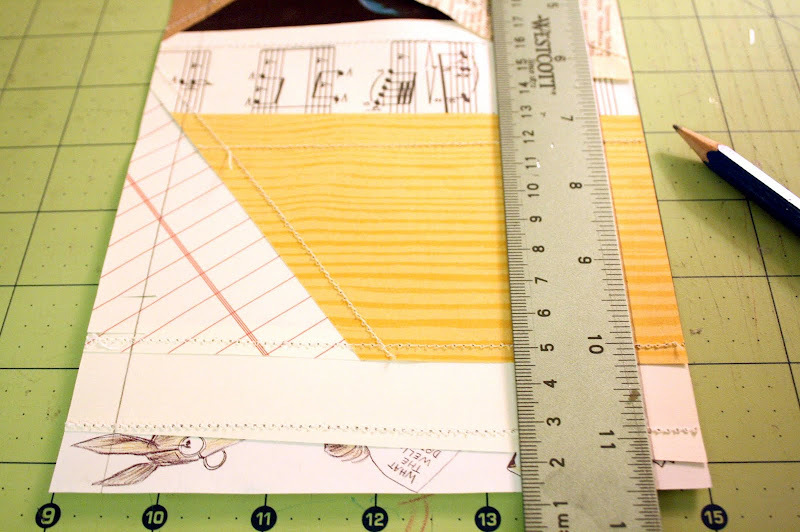 On the long side (11.5"), draw a faint line .5" from the edge on each side. 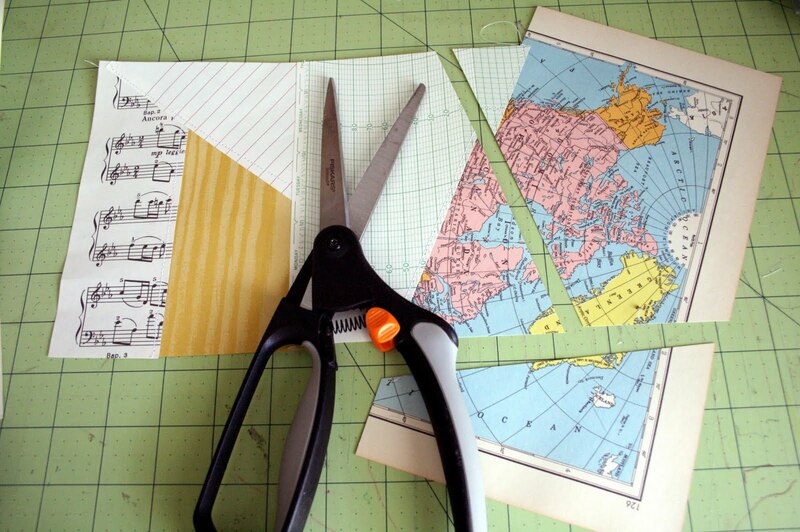 Then fray those edges with scissors, not going past the line you just drew. 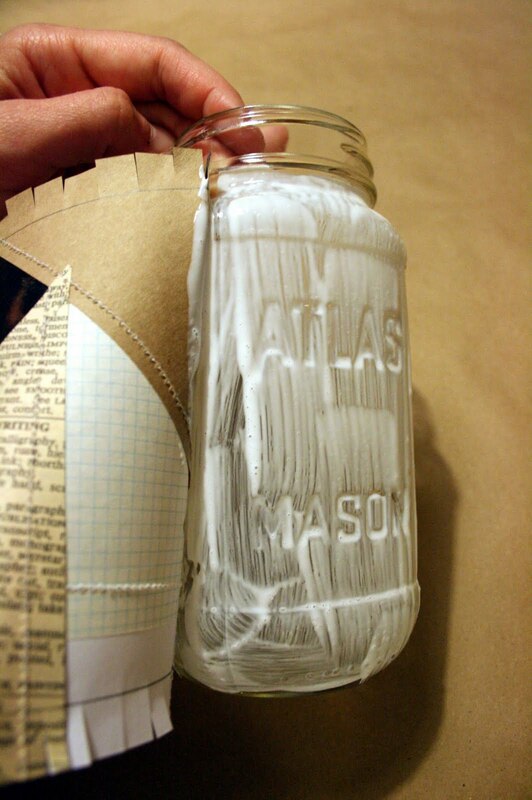 This will help the paper to lay down on the curvy part of the jar when you Mod Podge it. 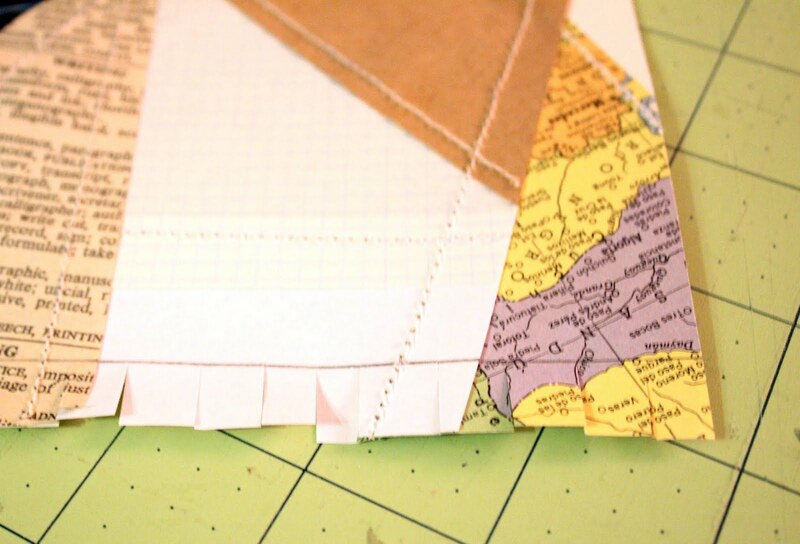 Put down some old newspaper, or old paper to protect your working surface while you are Mod Podging. 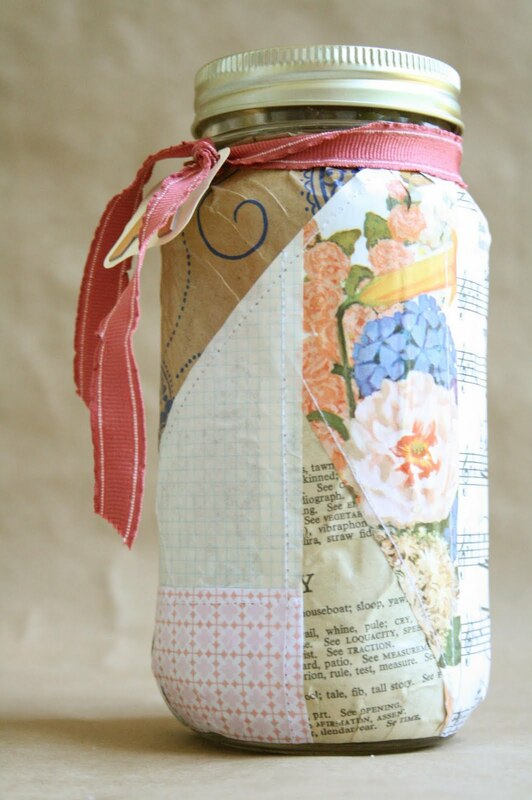 Begin brushing on Mod Podge and get ready to adhere the patchwork. Begin adhering the patchwork, with the frayed edges at the top and bottom. Gently push the fray on the curves to secure it. Smooth out the paper as you adhere it to the jar. 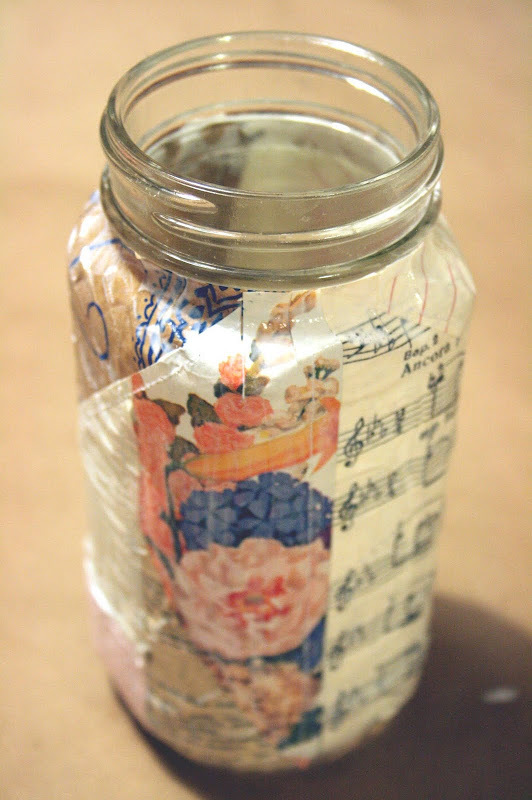 Keep adding Mod Podge and continue to adhere the paper and smooth it down. The neck with the fray adhered. Once you have the patchwork completely on, Mod Podge the outside on top of the paper with 2 or 3 coats. Use your finger to smooth out any wrinkles (although, mine had wrinkles and I ended up leaving some of them, I liked how it added to the vintage feel). 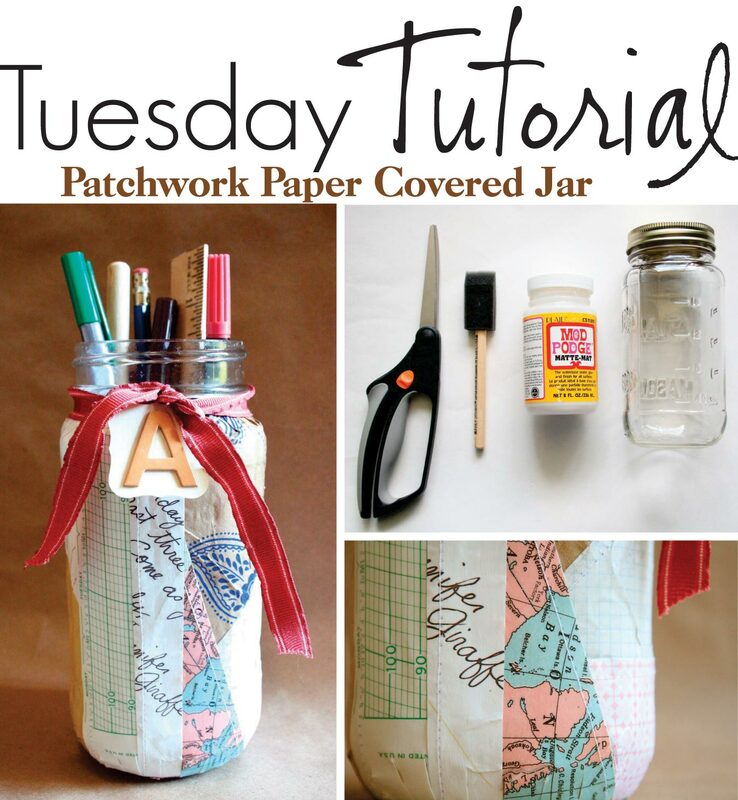 This is a really nice idea, I sometimes wish I had a sewing machine! this is so cute!! 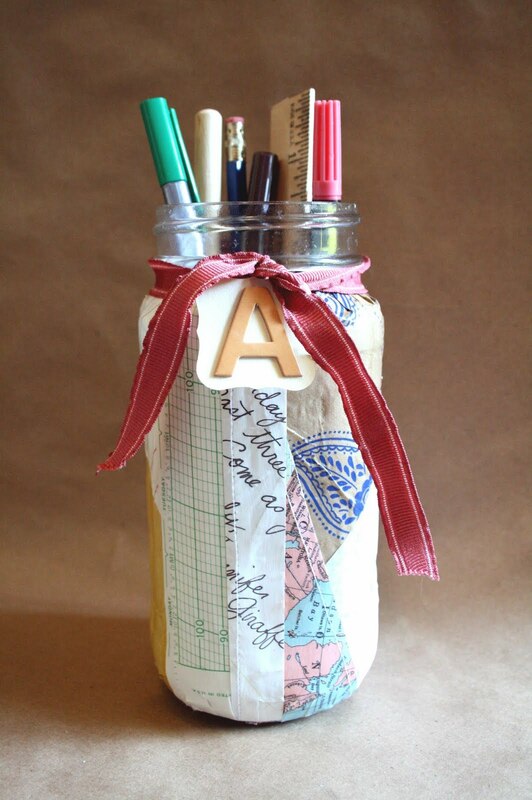 I might try this with my ikea plastic pen pots! This is such a great idea! 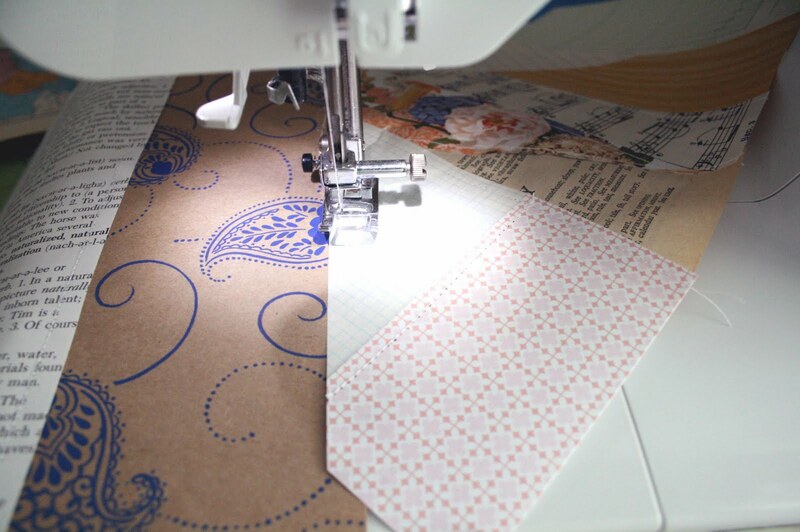 I love how the paper ends up looking almost like fabric! This is so great! 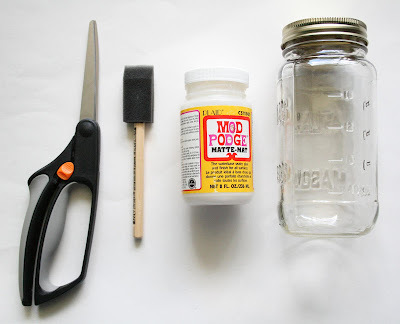 I love how your tutorials usually use materials I already have or can readily find around my house =) I love recycling and upcycling. Thanks! this is so great! 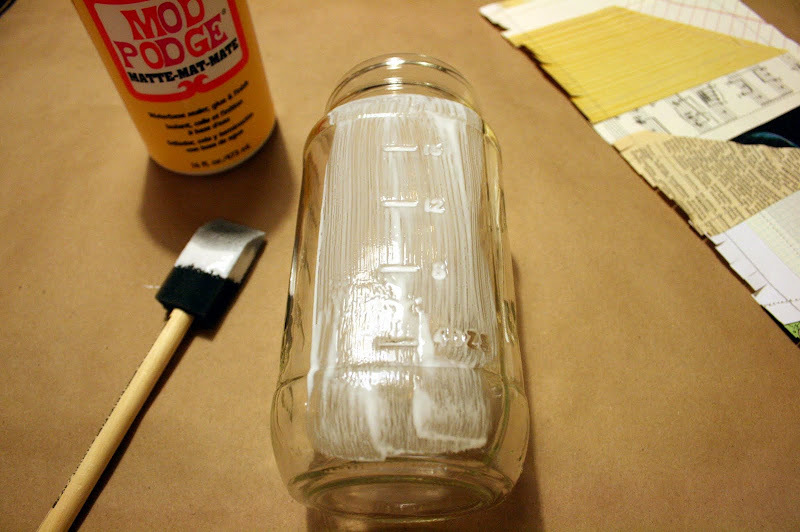 we eat so much pasta sauce, and now I have a project to use those jars up instead of tossing them. thanks! What an awesome project! 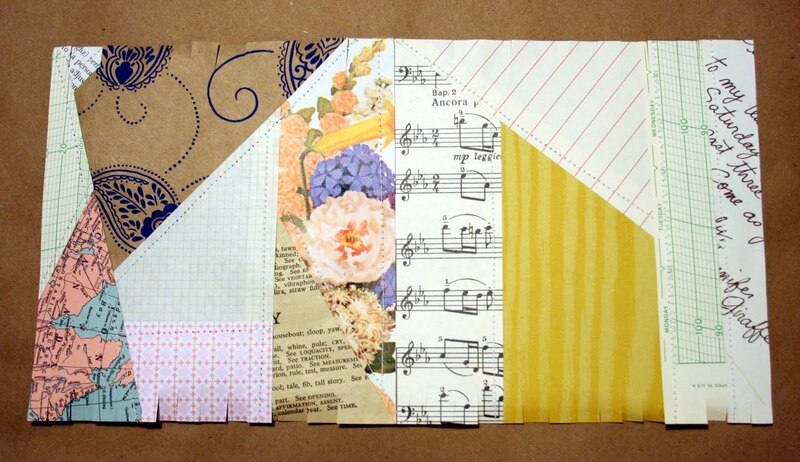 I love that you sewed the pieces together first... nice touch! oh no ;) this was exactly what i wanted to do with my paper pack (i've just received it) !!! 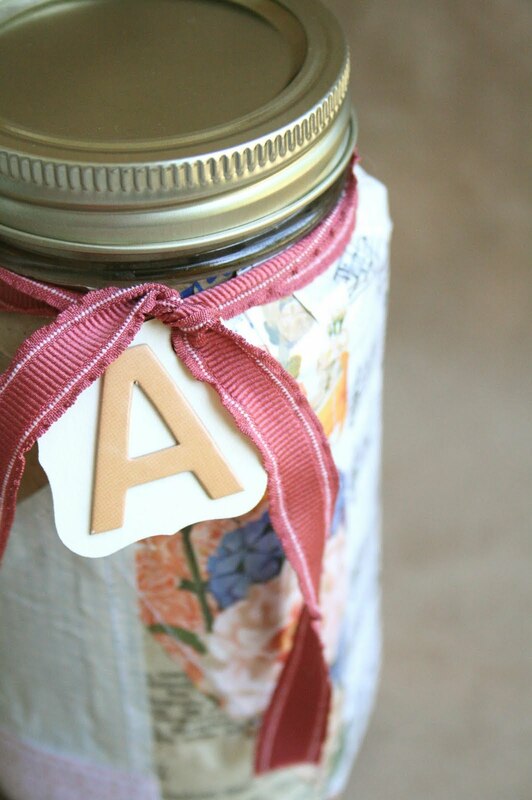 your jar is really nice, but i will do mine too, and i have other projects to use the other papers ! great tutorial, thanks for the idea!